Ran across this mans work, Miquel ‘Angel Blanco and am in awe. He has devoted his life to an impressive and unique library outside of Madrid. 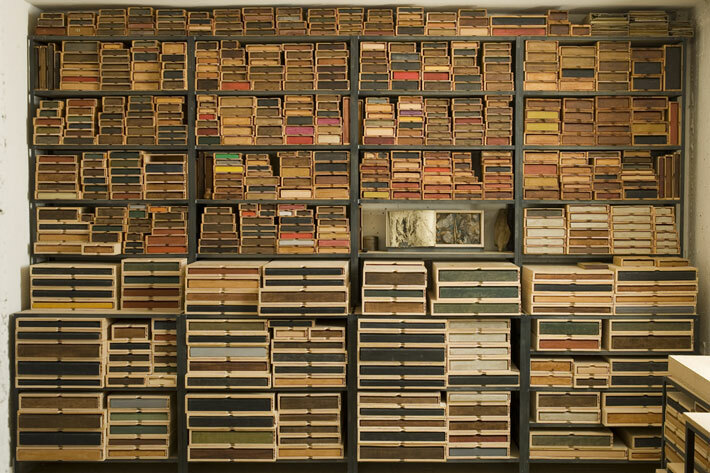 He has created a library of more than a thousand wooden book-boxes, each a reliquary or cabinet containing objects and substances gathered on walks.